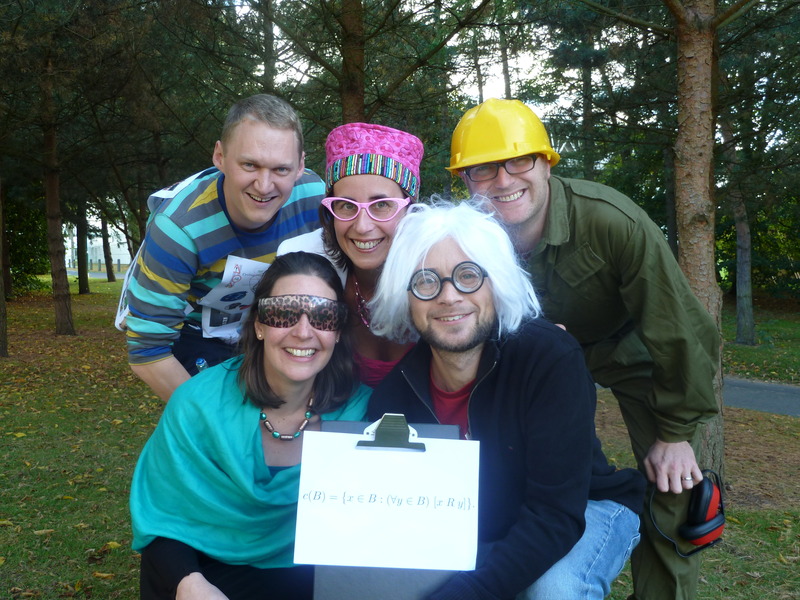 Comedy in the classroom – our award-winning innovative teaching in 3S – is leading the way at UEA right now. Gill Seyfang will also showcase Comedy in the Classroom as keynote speaker at UEA’s Learning and Teaching Day 2016. Delegates to the annual celebration of excellent, inspiring, creating teaching at the University will be treated to an after-lunch performance of Swipe Right for Sustainability, starring Gill and colleague Helen Pallett, a fellow ENV lecturer. The audience will be treated to something they’ve never come across before in a surprising and inspiring session, which will entertain, inform and inspire lecturers to adopt these methods across the whole curriculum. Gill will then talk through the rationale, whys and wherefores of this teaching method, showing how we went about creating our performances, why they were needed, and what impact it’s had on students’ learning. She will aim to send every delegate away with ideas about how to apply some version of this method in their own teaching work, as well as some key tools for how to adapt and apply it. The day is open to anyone at the University of East Anglia, and resources from the event will be available afterwards for those unable to attend. Here you can see the Timetable for the day, and read more about it in the Abstract book. Finally, Gill Seyfang (and her alter egos Helena Handbasket and Daisy Beansprout) are thrilled to have been shortlisted for the Most Innovative Teaching award in Science, at this year’s UEA Students Union Transforming Teaching awards 2016. The awards are especially significant, as they are nominated, shortlisted and selected by our students themselves. The gala award ceremony takes place on Thursday 5th May and by all accounts is a glitzy affair, so Helena will fit right in. Helena and Daisy are currently considering their evening-wear options and expect to wow the judges on the night! April 18, 2016 in News, Teaching news.